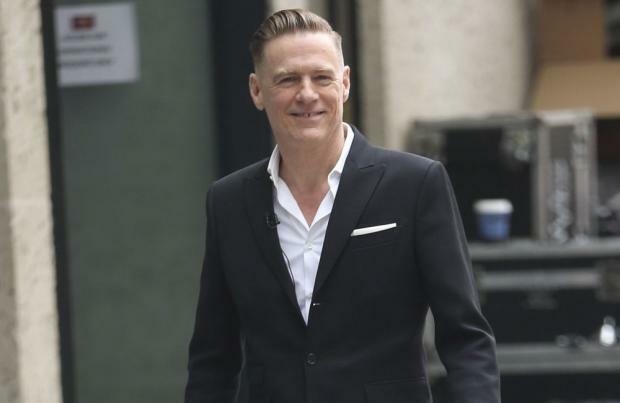 Bryan Adams has recruited Ed Sheeran and Jennifer Lopez for his comeback album 'Shine a Light'. The Canadian rock legend's album-titled track was co-written by the 'Shape of You' hitmaker after the pair hit it off in Dublin, Ireland, after one of the 27-year-old singer/songwriter's concerts. Bryan said: "I met Ed in Dublin this year at one of his shows and we kept in touch. One day I sent him a chorus I had for a song idea I had called 'Shine A Light' and asked him if he was interested in collaborating on it. "I got a couple of verses back a few days later, and man you should hear him sing it!" The 'Summer of '69' hitmaker has also teamed up with US pop superstar Jennifer Lopez, 49, on the ballad 'That's How Strong Our Love Is'. The album, which is released on March 1, is Bryan's first since 2015's 'Get Up'. Since then the 'When You're Gone' hitmaker has been touring the world and also produced the Broadway musical 'Pretty Woman' – which is based on the 1990 rom-com classic – with his longtime songwriting partner Jim Vallance. Bryan will support the record with a tour of the UK and Ireland, before heading to Australia, kicking off at The SSE, Arena Wembley on February 27.